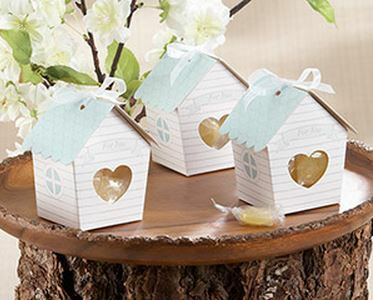 Love Nest Bird House Favor Boxes -What an adorable Easter wedding favor idea! Not only do they go perfectly with the spring or Easter theme, but they also symbolize the making of your own home and starting your life together! These have a little clear window to show the yummy treat or favor you choose to put inside. Guest will love these! 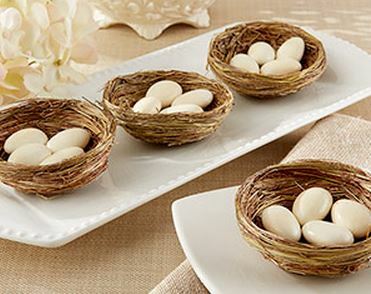 Nestling Natural Bird Nest Favor Holder - OK, so I know I said the bird houses were adorable, but so are these! These are my favorite! You can put candy eggs or other treats inside and wrap them up with cellophane and a ribbon or just leave them open like the picture shows! So cute! 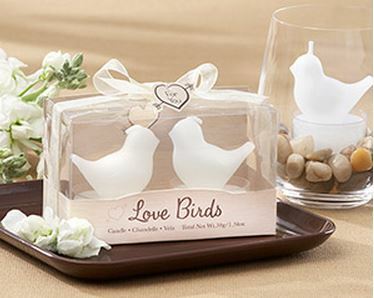 "Love Birds" White Bird Tea Candles -These tea candles are perfect for Easter weddings. You can leave them packaged up to give to your guests or you can put them in glass vases as decorations. 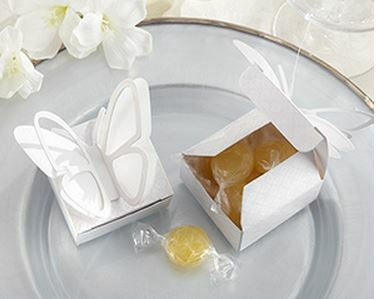 Sweet Butterfly Butterfly Favor Box - These dainty butterfly favor boxes can fit a yummy treat for your guests to enjoy. 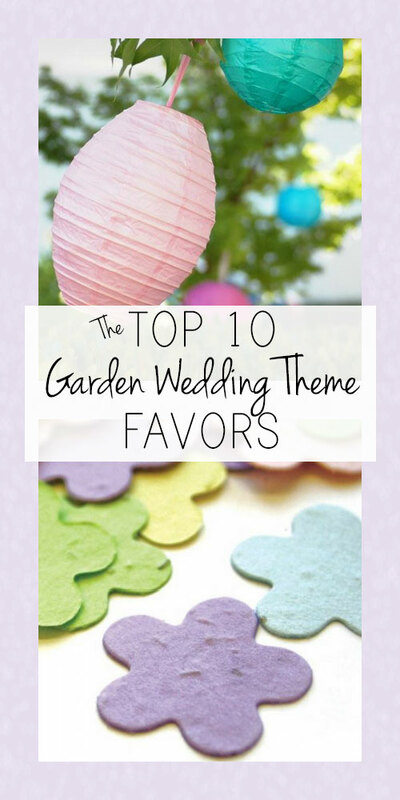 They go perfectly with a spring and Easter wedding theme. Keep in mind: they do require some assembly, so make sure you order them with enough time to put them together. They come in a set of 24. 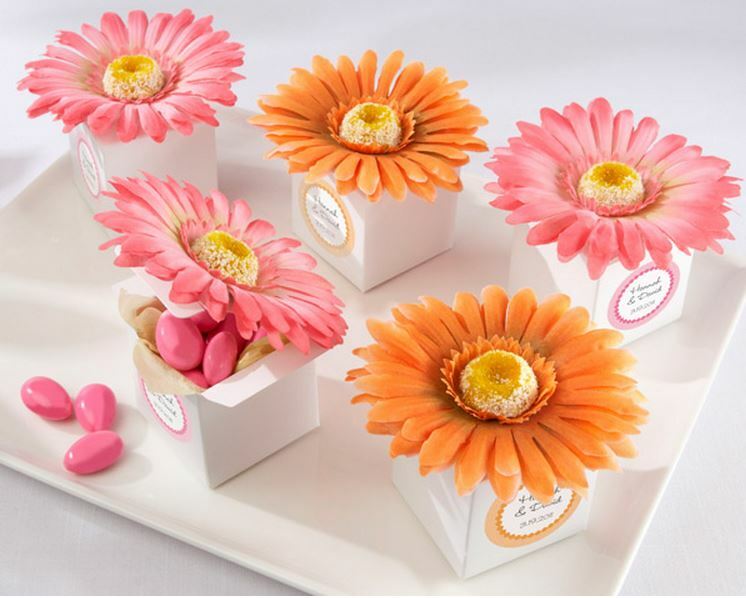 Daisy Delight Gerbera Daisy Favor Box - These darling daisy favor boxes have “Easter Wedding Favor” written all over them! 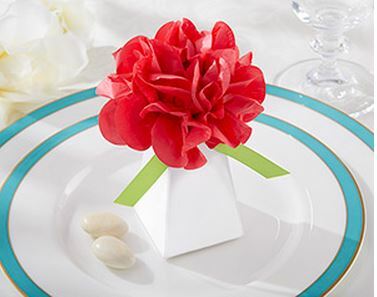 These will add the perfect pop of color to your guest tables! Guests will love to so see such beautiful colors. Pink Pom Pom Favor Box - These favor boxes are a great to accomplish two things at once: 1) add beautiful color to your wedding 2) say thank you to your guests with a yummy treat in a cute box. If you don’t want to spend the extra money for a personalized sticker, you could always buy cheap stickers in bulk that say “Thank You.” Like any other favor box, be sure to order these with enough time to assemble them. 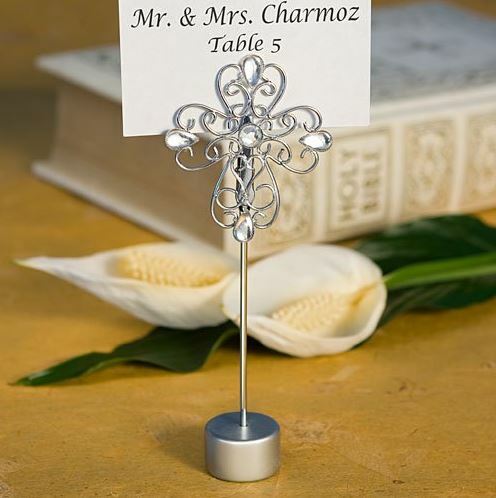 Jeweled Cross Placecard Holder - Easter and weddings are the perfect time to express love and faith. 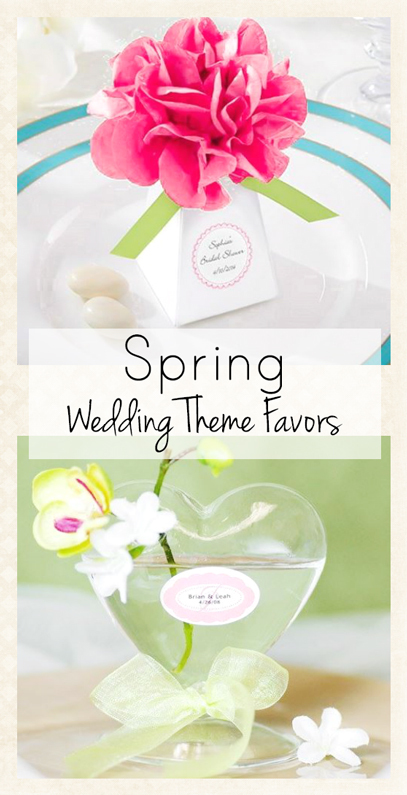 These place card holders are a great choice if you are looking to have a more religious tone at your Easter wedding. Guests can then take them home to use as photo holders as well! 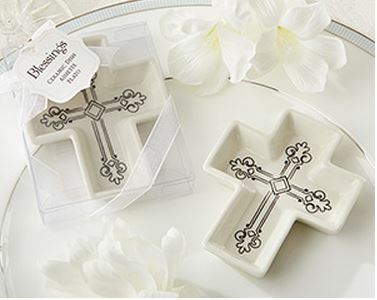 Blessings Ceramic Cross Trinket Dish -These gorgeous trinket dishes are perfect to either have at each table with yummy treats for guests to take or to pass out to guests as a thank you. This is yet another favor that guests can use long after your wedding is over. 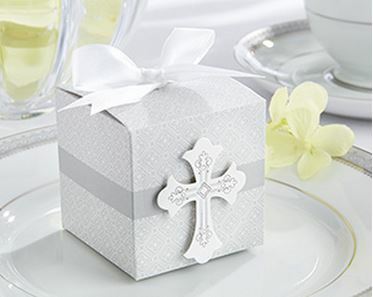 Blessings Favor Box - These classy favor boxes come in a set of 24 and are perfect for holding favors for your guests such as candy or small candles. They fit the religious Easter wedding theme nicely! Assembly is required.